Let’s face it: finding time to get to the gym is a hassle and gym memberships are expensive. If you want to get fit, the best way to do it is by investing in some home gym essentials and putting your gear at a place in your house you will see everyday and that will almost force you to use it. You don’t even need to make a huge investment in a fancy exercise bike or expensive cardio equipment; most of the items on this list cost $50 or less and will make your workout that much more better. Think jump rope is just a game your kids play in the schoolyard? Think again. Jump rope is one of the most powerful cardio exercises out there. It strengthens your heart and your leg muscles as well as improving your reflexes. 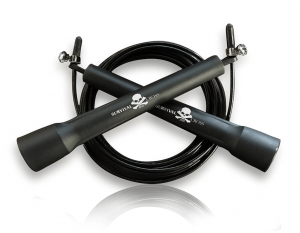 And since a good jump rope costs less than $10, there’s really no excuse not to buy one. An exercise mat allows you to comfortably perform dozens of ground exercises and doubles as a great yoga mat. There are exercise mats that cost as little as $10-15, but spending a little extra money ($30-40) can get you a much more durable mat. A high-quality pull-up bar can be used for several different exercises that focus on your upper body and core. They can also be installed in pretty much any doorway and typically cost around $30. 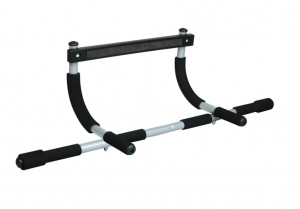 If you are looking for more information on Pull up bars, we have written a great article discussing the best pull-bars now available on the market. The one below is our all time favorite. You have two options here: you can either get an affordable dumbbell set, which will usually start with 3-pound weights and have 4 different pairs of weights, or you can get adjustable dumbbells. 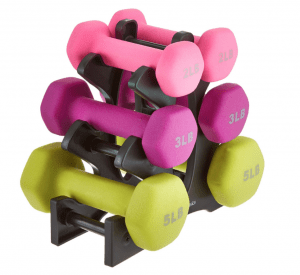 Adjustable dumbbells are adjusted with a knob on the side and have a wider weight range than most affordable dumbbell sets, but most women will be fine with a regular set. Try to find one with its own storage system. This set of dumbbells are the perfect home gym essentials for any mother looking to strengthen her upper body. 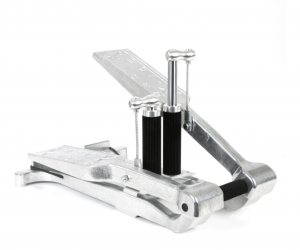 It has just the right sets of weights to help you do all necessary exercises. They are also amazing gifts idea for any workout enthusiast looking to build a home gym. This nifty little timer can be programmed with your personalized workout routine. It will set several alarms, telling you when to slow down/recover and when to get intense. Interval training is one of the most powerful ways to get fit, so no home should be without one of these timers. If your gym is your favorite room in the house, then you absolutely need this piece. 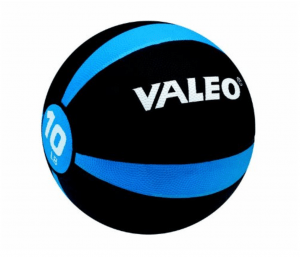 A medicine ball can be used for a variety of lifting, throwing and catching exercises. Make sure you get a soft medicine ball to minimize the risk of injury. A home gym would not be complete without a medicine ball. This 10pd ball is perfect for the whole family. Taking care of your muscles is crucial for proper recovery and The Stick allows you to easily massage sore muscles after a hard workout. 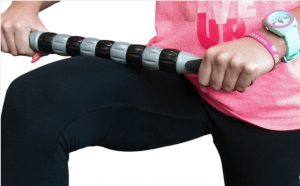 There are different sticks which cost between $34-118 and have varying stiffness levels, ideal for different body types and workout intensities. Resistance bands are great because they’re so small you can even take them on the road with you but they still offer a wide range of exercise options. A good set of resistance bands will usually cost you roughly $20-30 and can last many years. These small electronic devices can fit under your couch and provide a workout that’s just as intense as what you’d get on a regular Stairmaster. They’re also much quieter so you can use them while watching TV and many come with resistance bands so you can work your arms out at the same time. 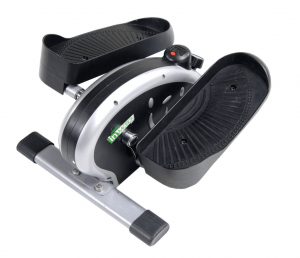 A good portable stair climber usually costs $60-120, but the very best one now goes for 399$. I know it’s probably a lot more then what you exepect to pay for a portable device. The difference really is from the quality of the material on the level of resistance. Here are 2 different models for you to compare. In out opinion, despite the fact that this product is a little more expensive, this unique home gym essentials will allow to bring your workout to another level. A suspension system is a set of straps that can be attached to pretty much any ceiling. These allow you to do inclined push ups, one of the most powerful total body exercises out there. 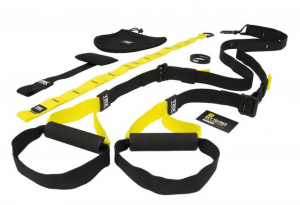 The most well known brand is TRX straps, which cost around $200, but you can find a good suspension system for as little as $50. It’s a hard workout but you will absolutely love the results you see from using one of these regularly. Like The Stick, a good foam roller can help you work all the kinks out of your muscles after an intense workout. And they’re generally cheaper—a good foam roller will only cost you $30-50. Yoga is a great way to improve your strength, balance and flexibility, as well as a great form of moving meditation. A yoga DVD is also way more affordable and convenient than a class at your local gym. Get a few different ones and try mixing and matching poses from them to create the perfect yoga routine for you. These thick cushions are perfect for meditating and modifying yoga poses. Or, you know, just sitting around the house. 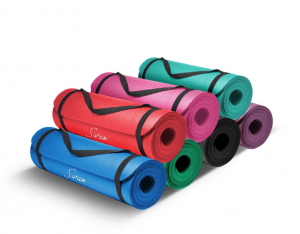 A good yoga bolster will cost you around $70. Try to find one with a zippered case that you can remove and wash in a machine. This particular bolster comes in several different colors. Click here to see all the colors. When you’re not working out to a DVD you should be listening to some awesome tunes. Good music will give you the energy you need to keep going through even the most intense workout. You can even buy a portable speaker system so you can also work out in the backyard. Headphones are good for listening to your Spotify or Apple Music playlist on the bus. But when it’s time to turn in up a notch and workout like never before, we definitely recommend blasting the sound to make sure all your neighbors know you are working out ! 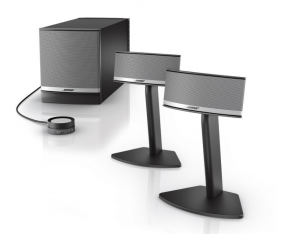 These are the Bose I use at home, and trust me, don’t put the sound at maximum volume. Having a towel specifically dedicated to gym time means you’ll always remember to wash it before your next workout. The Thirsty Superabsorbent Towel is made of microfibers, which means that it’s soft on your face and it dries much faster than other towels. At $12, this is a great deal. These pieces of home gym essentials mixed with and a little bit of imagination open up the possibility for literally hundreds of different exercises—without completely taking over your home. And with the total of all these items coming out to less than $500, a great home gym is within every mom’s reach, even if you have to buy one item at a time.